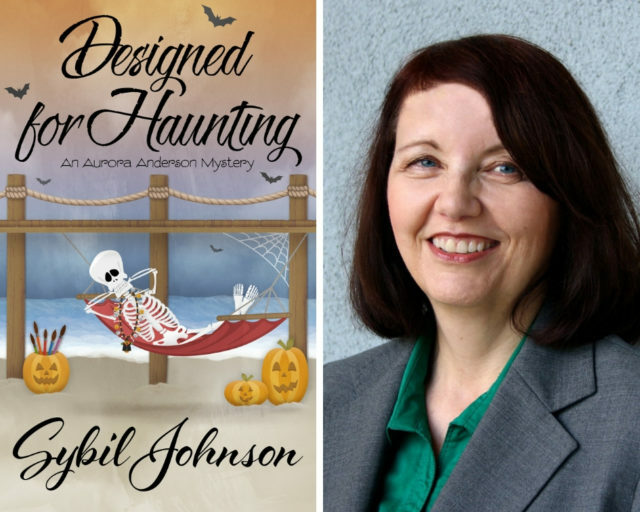 Sybil Johnson writes the Aurora Anderson mystery series for Henery Press, and I’ve been so pleased that sharing a publisher brought us together, giving me the opportunity to get to know both a fine writer and a generous and thoughtful person. Sybil’s latest novel, Designed for Haunting, releases today—just in time for Halloween shenanigans ahead, as she explains in her First Two Pages essay below. The previous books in the series include Fatal Brushstroke, Paint the Town Dead, and A Palette for Murder. And beyond her fiction, you can also catch Sybil blogging every other Wednesday at Type M For Murder.